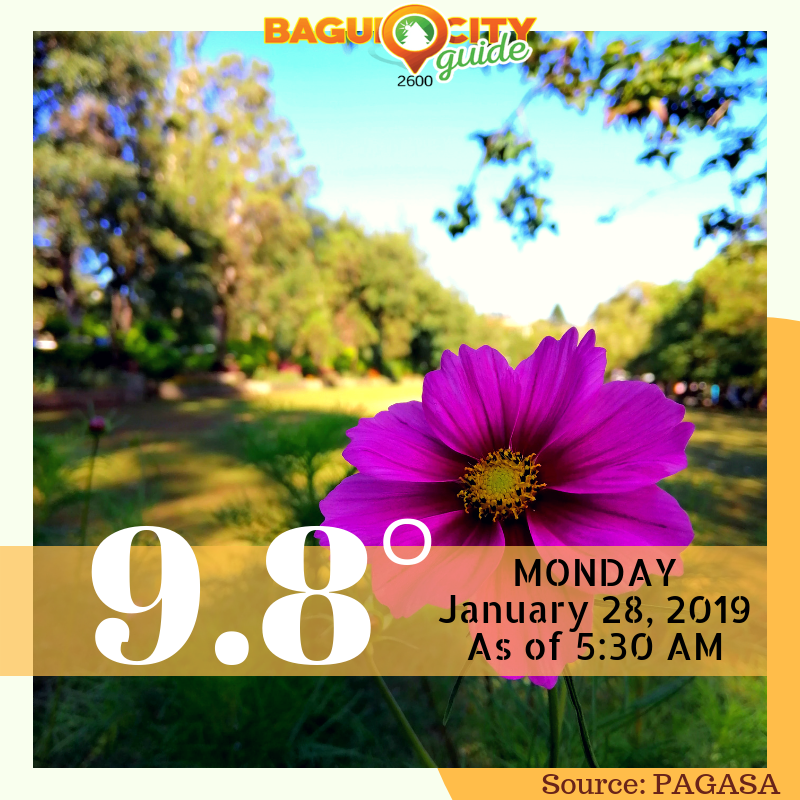 At 9.8°C Baguio just experienced the coldest temperature this 2019. If you are in Baguio City then you might have felt the temperature dropped. Yes, it is the lowest temperature again so far in the City of Pines. This time however, the mercury level dropped to 9.8°C or at 49.64°F. The temperature reading at 5AM today was at 10.5°C, PAGASA informed that the temperature might still go down at 6AM. Upon follow up, the temperature at 6AM dropped slightly to 10.4°C, however, the latest update was that at around 5:30AM the mercury level dropped at 9.8°C. This is the first time this year that the mercury level dropped to single digit in Baguio City. Although this is common in other parts of Benguet such as in Atok where the temperature could be about 2-4 degrees lesser than that of Baguio City’s temperature. Although the cool weather is a welcoming experience especially so for a country that is near the equator ,where warm weather is common throughout the year. We also advise travelers to Baguio City and the Cordillera region to take necessary precautions to combat the cold weather and to keep yourself warm. Here are some tips on how to keep you warm during the cold weather.